It is guaranteed that you will always find “Tapsilogan” anywhere in the Philippines and the most interesting aspect is that many of the food served by establishments in this category have a menu that is more or less unique to them. Take for example in Davao City, TAPS has oxtail feet in their menu. In Cagayan de Oro City, Tapsi Time has the Higante Meal in their menu and from these two words you can deduce that it is a “combo” meal guaranteed to satisfy more than one person. Two to three cups of steam rice. One serving of chicken pork adobo (2 pieces pork about 1” x 1” in size and 1 piece chicken which is more or less similar in size with that of pork). One fresh lumpia about 4 inches in length and 1 inch wide. One fried pork chop sliced into bite sized pieces. Two tablespoon acharra or pickled papaya. One serving of pansit luglug or pansit Malabon. When the food is served, you can definitely say that it is worth the price. 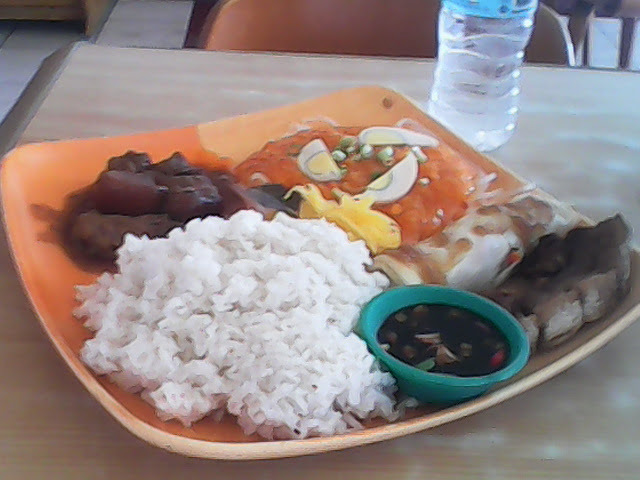 When you order the food items separately it will cost you over three hundred pesos. However, this is the only aspect of the Higante meal which is right. There are lots of negative things to say about it. In terms of taste, the adobo is too heavy on laurel. The Palabok or pansit luglug as the locals would call it is really bland. The pork chop is quite difficult to chew and burned. The fresh lumpia is not fresh as it is quite sour and no sauce was served. In terms of combination, if you are diabetic, this is not a good choice due to lots of carbohydrates - rice, lumpia wrapper, and the Palabok noodles. If you are suffering from cardiovascular issues, this is definitely not a good meal for you because of the chicken pork adobo and fried pork chop. Accordingly, the meal is good for two but serving size and quantity can be a source of quarrel. You will probably have play paper, rock, and scissors in order to determine who will get the fresh lumpia or the pork chop. 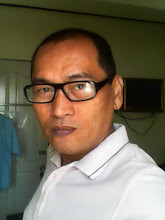 You might also find it difficult to devise a method on how to divide 2 pieces of pork and one piece of chicken adobo. If your intent is just to fill the stomach and does not mind flavors and aromas then this is an excellent choice for you; a money saver indeed. However, if you want good taste and healthy combinations when it comes to combo meals, Tapsi Time’s Higante Meal should be reinvented to make it more palatable to more customers.